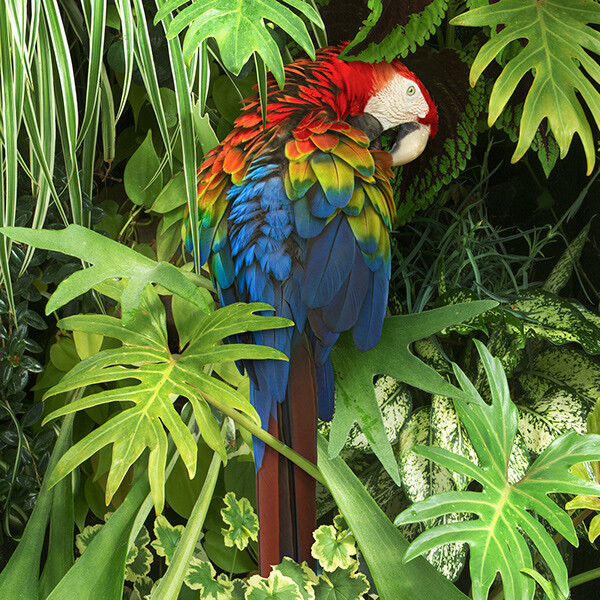 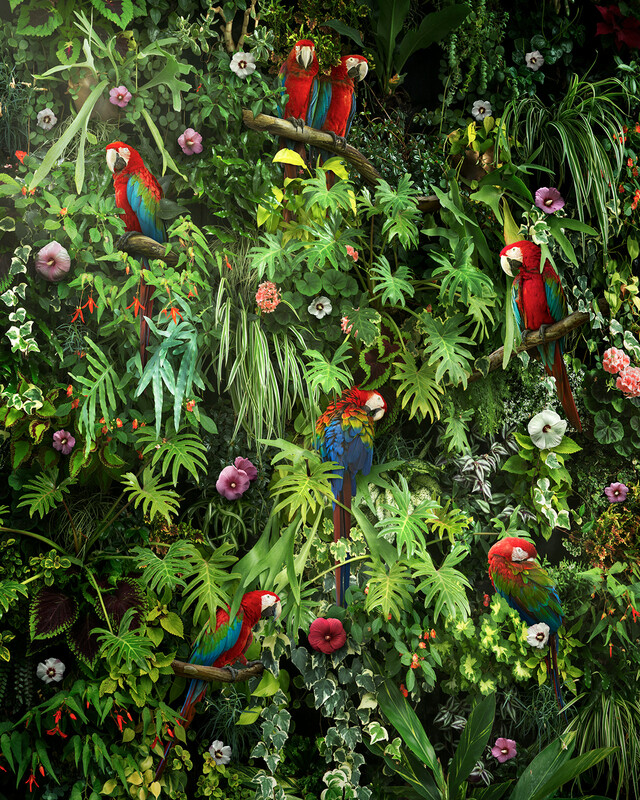 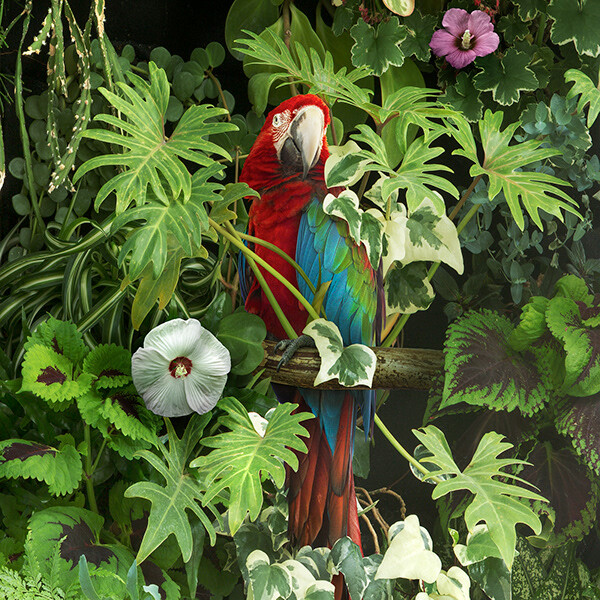 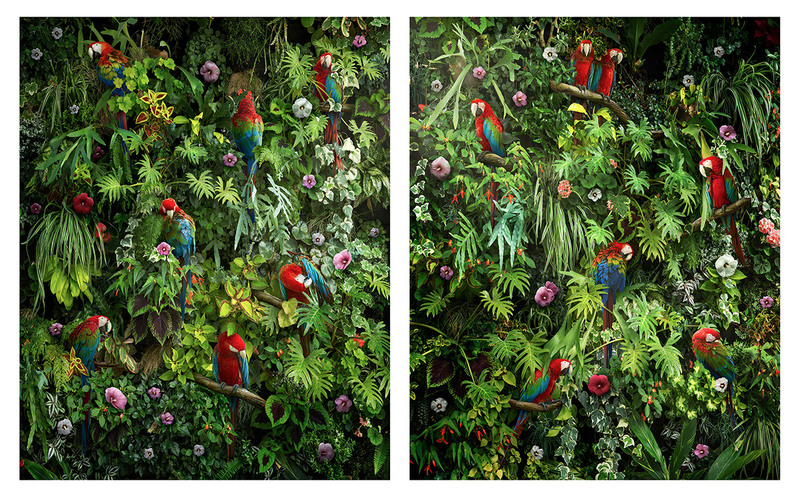 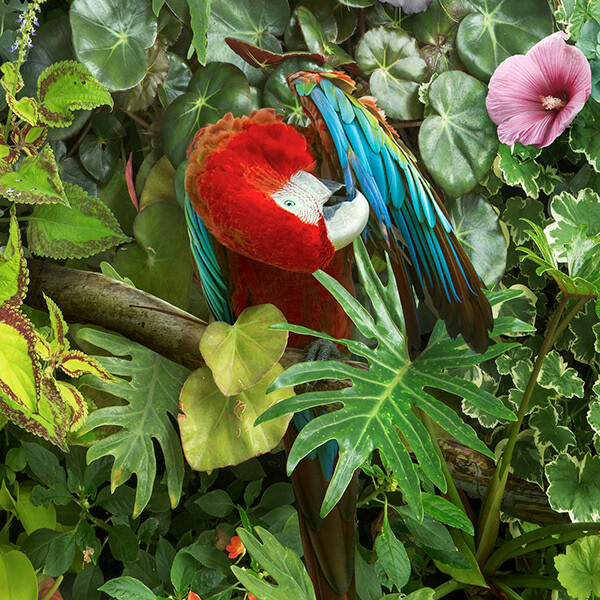 "Canopy", a new large-scale image created as a diptych, featuring a highly stylized and patterned vision of the jungle canopy, with tropical plants, hibiscus flowers, and red macaws. 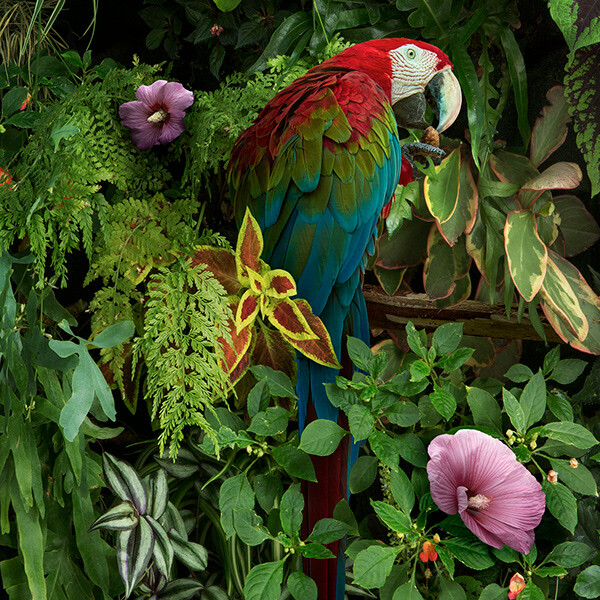 With this piece my plan was to build a photographic composite image that incorporates a very design-centric composition, almost as living wallpaper. 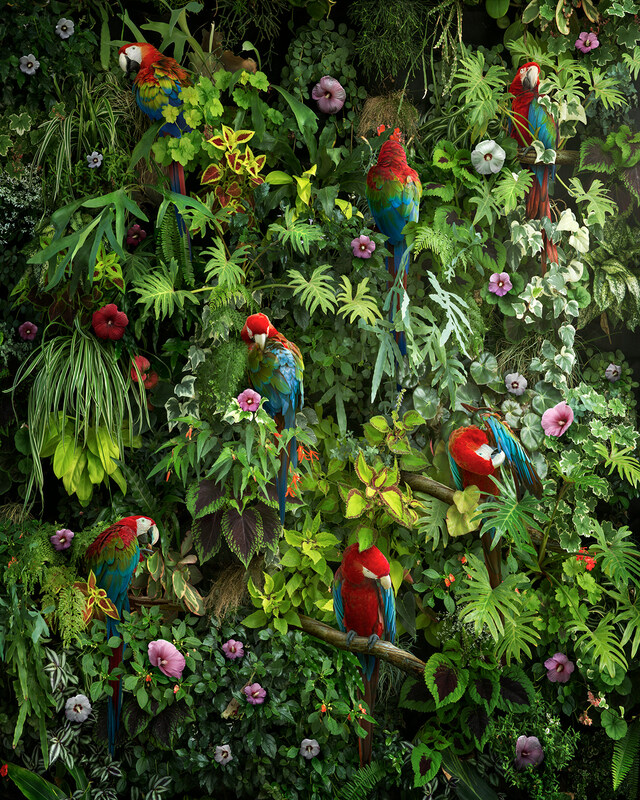 I wanted to create a beautiful and captivating image that would also draw attention to these quickly vanishing natural habitats. 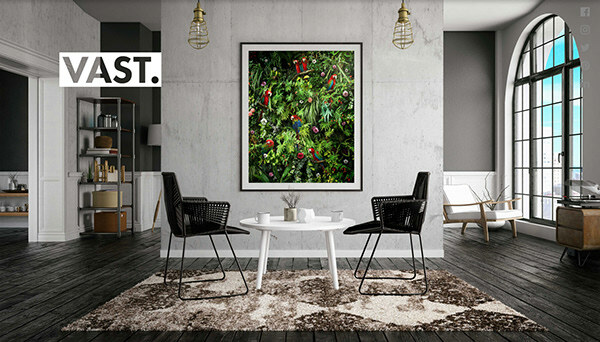 Limited-edition artist prints are available through VAST Images - a team of master photographers, engineers, and artists creating the highest resolution fine art photographs ever made. 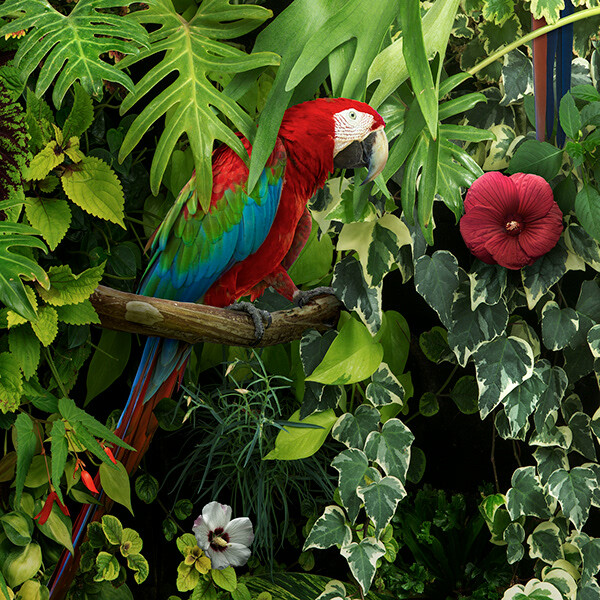 "Canopy", a new large-scale image created as a diptych, featuring a highly stylized and patterned vision of the jungle canopy, with tropical plants, hibiscus flowers, and red macaws. 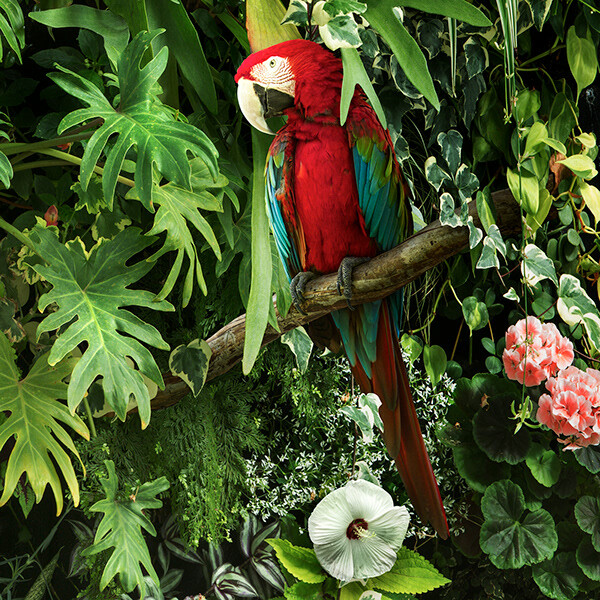 I wanted to create a beautiful and captivating image that would also draw attention to these quickly vanishing natural habitats.